In the winter, we complain about the cold. In the summer, it's the heat—and the mosquitoes. Mosquitoes can seriously add frustration to any outdoor activity, and if you're like me, you want to spend as much time outdoors as possible when the weather heats up. While there are plenty of sprays, lotions, and gels that offer to keep the pests away, we all know these chemical baths are far from safe. Luckily, you can easily use a natural mosquito repellent to get rid of mosquitoes and bypass the harmful chemicals. Natural mosquito repellents come in many forms. There are oils for your skin, plants to keep around, and even things you can eat. You can change your environment to make it less attractive to them and you can even use foods to change your body's chemistry. Let's look at some of the more worthwhile natural insect repellents you can use to get rid of mosquitoes. Lemon eucalyptus is possibly one of the most well-known and widely recognized natural solutions for repelling mosquitoes. Whether you can find the plant to keep around your home or the essential oil to apply to pulse points, the more you can keep this scent around, the fewer pests you'll see. The Centers for Disease Control and Prevention (notoriously anti-natural solutions) has even admitted the plant is as effective as DEET (used in traditional bug sprays) in mosquito repelling. You can find natural bug-repelling products with lemon eucalyptus in it or you can make your own with the essential oil and a carrier oil like jojoba. Yes, catnip isn't only for cats. As I wrote about a few weeks ago, this easily grown herb has many useful medicinal and household applications—including being used as a natural mosquito repellent. 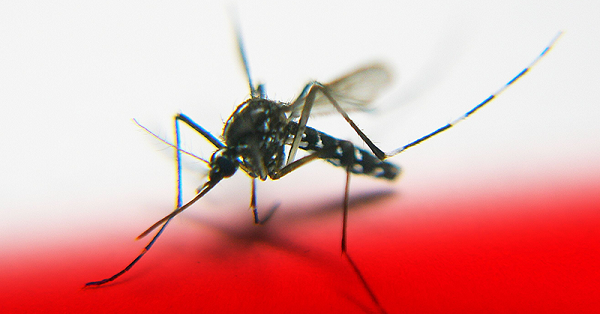 Researchers with Iowa State University found it to be 10 times more effective than DEET. Because it's a prolific grower, putting some catnip in pots around your patio can help ward off the little bugs. Also, you can simply rub the oils from the leaves on your skin. This is one of 5 homemade mosquito repellents we posted earlier. Lemongrass is also known as citronella, and while you can find citronella candles and oils, the plant is just as or even more effective. It's a beautiful grass and can add landscaping interest to your yard or is great in large pots. Its effects are far-reaching, not only for repelling mosquitoes, but other bothersome bugs too. 8. Decrease beer consumption (seriously). Hopefully, these natural mosquito repellents will work for you, but in case they don't, here are some home remedies for mosquito bites you can utilize.